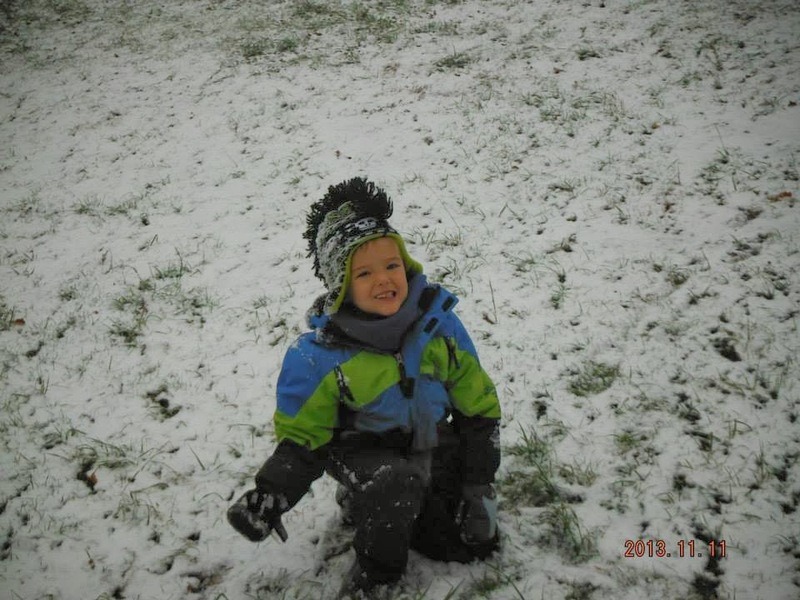 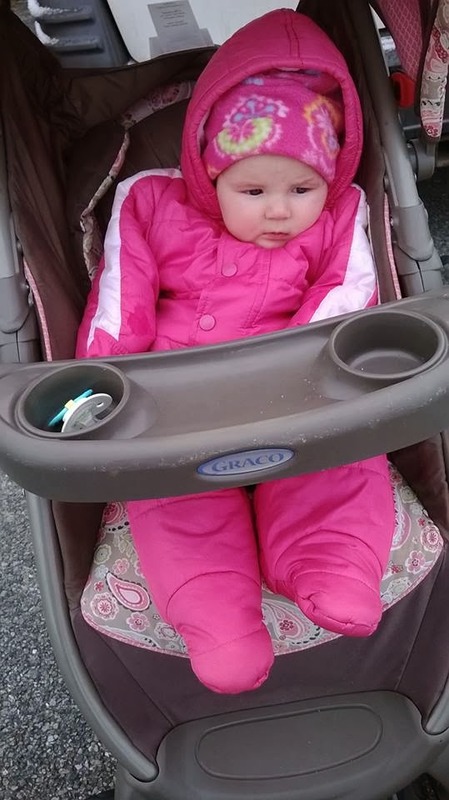 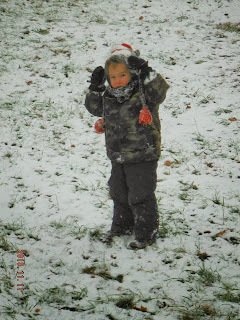 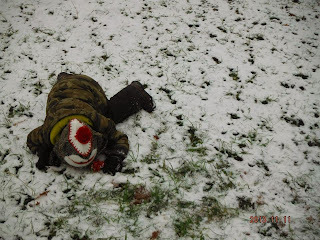 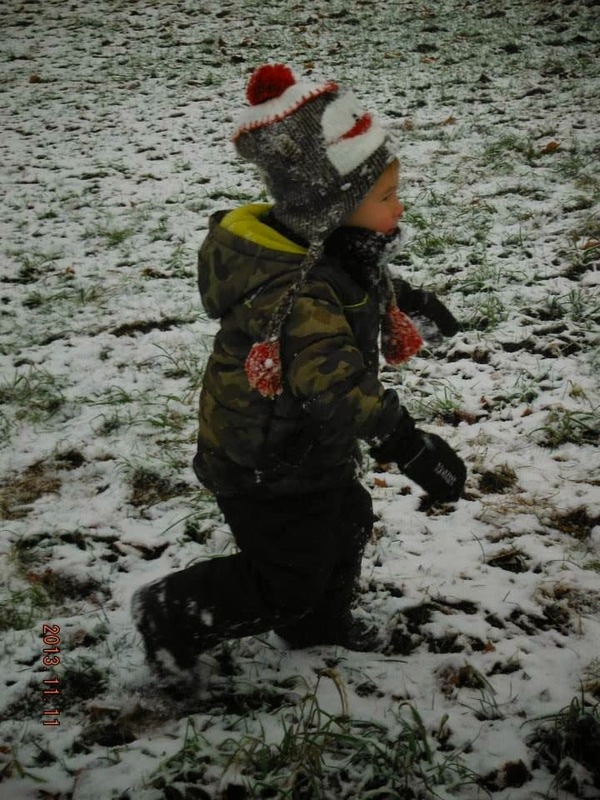 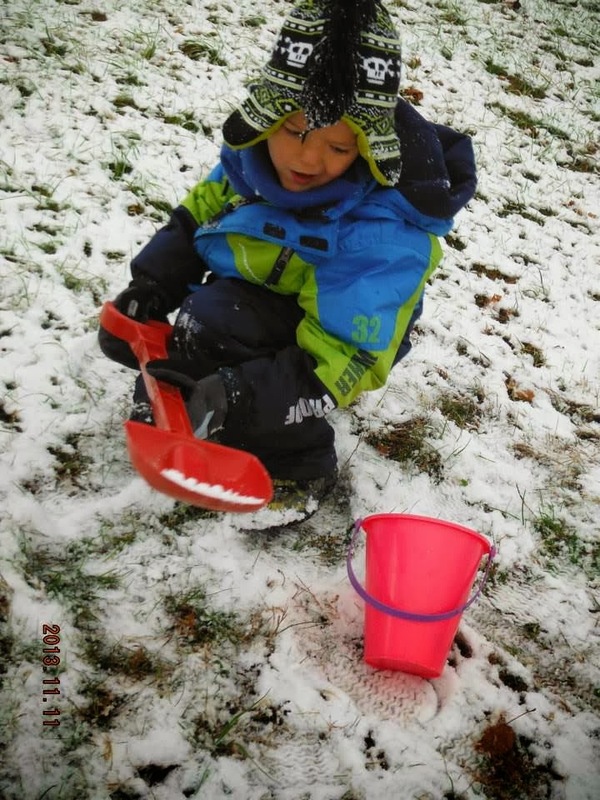 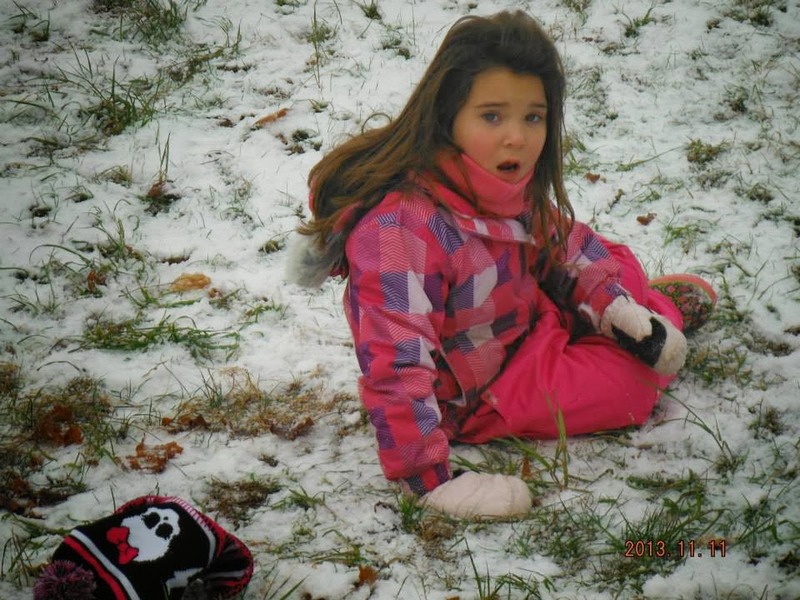 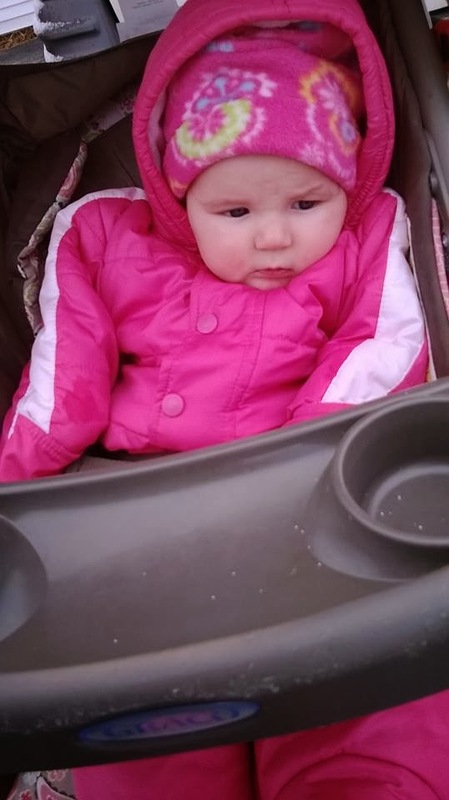 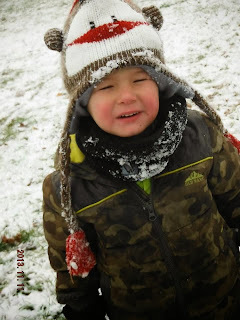 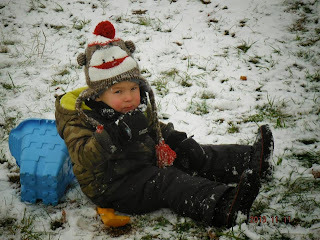 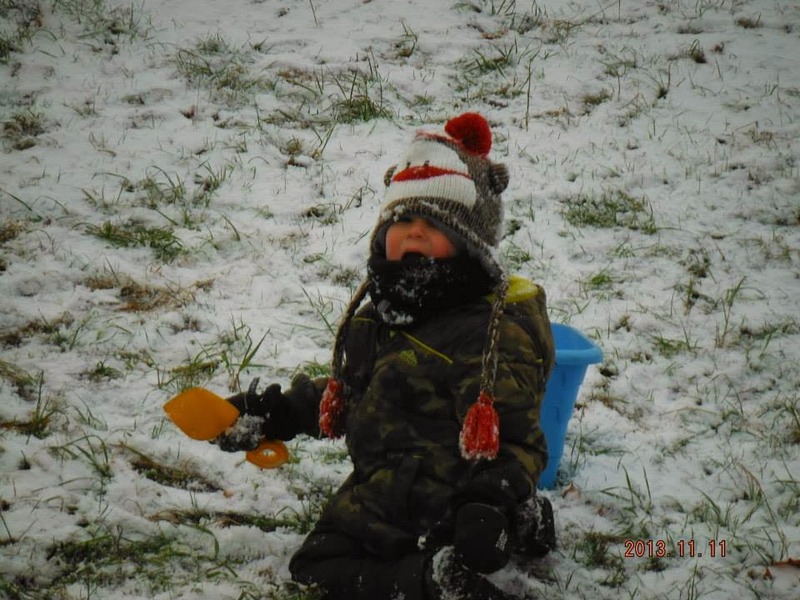 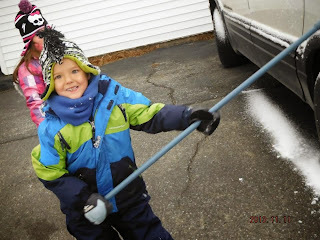 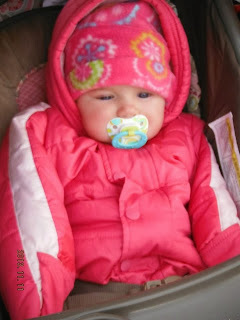 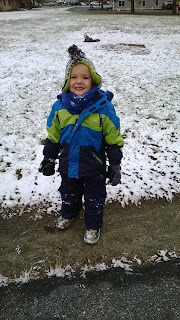 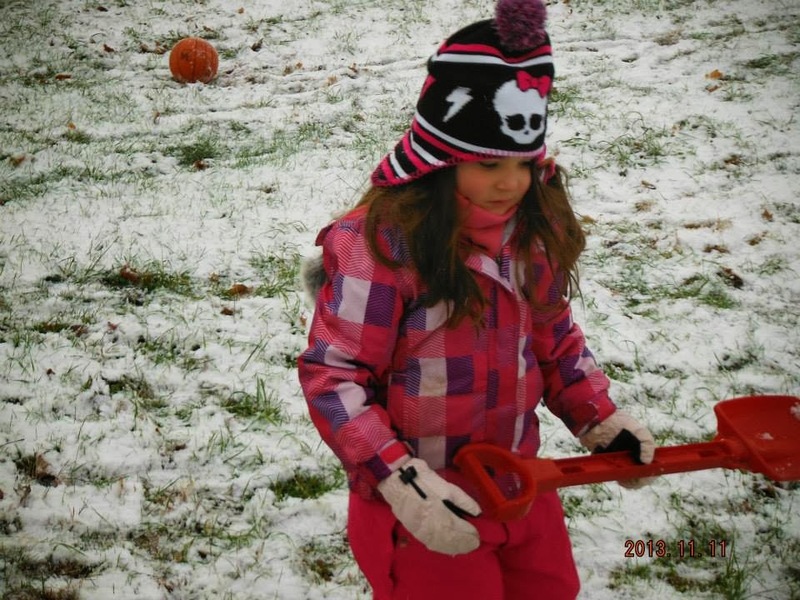 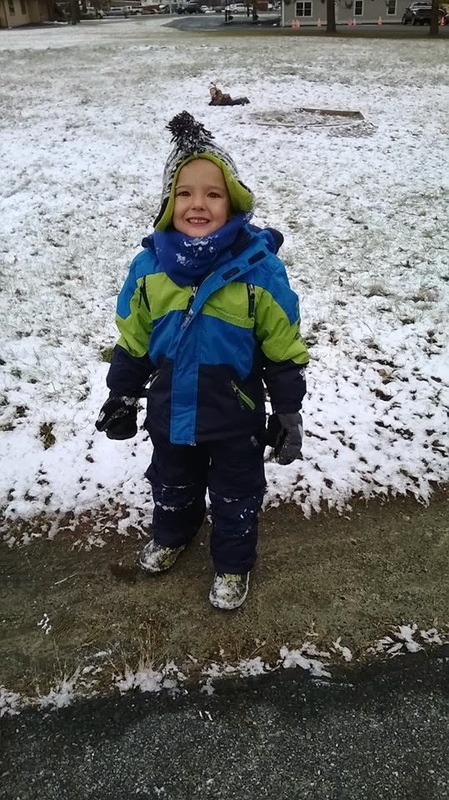 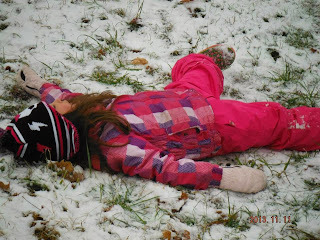 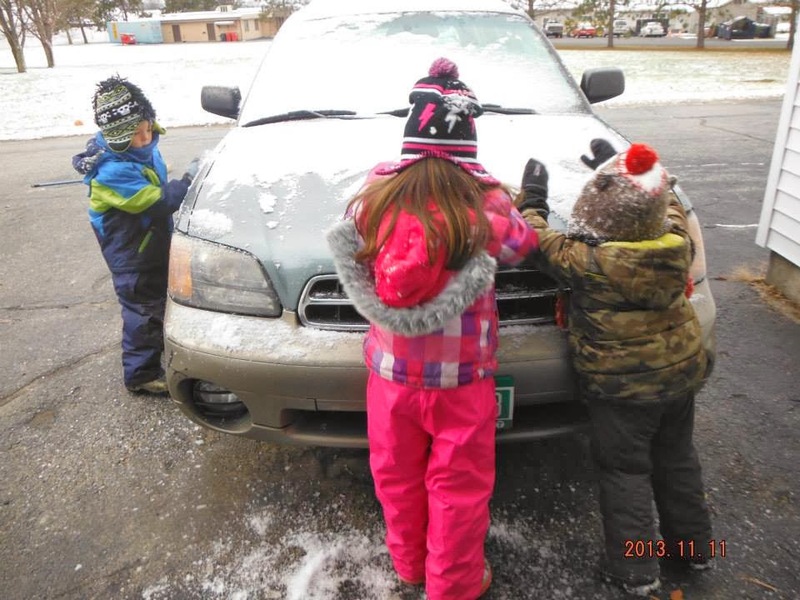 ♥ Mama 2 Multiples ♥: First Snow Play of the Season! The past couple of mornings, we have woken up to a light dusting of snow on the ground. 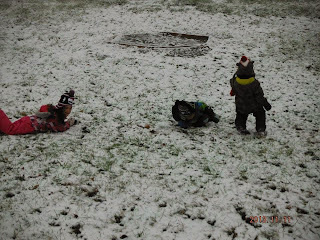 It's melted and gone by noon, but that doesn't stop the kids from getting ridiculously excited over seeing it and wanting to get right out and play in it! Since today was Veteran's day and they didn't have school, we took advantage of that time this morning and got outside for a little snow play, for the first time this season! Mason and Merasia were the first to come in, but Connor stayed out for quite a while longer, just brushing snow off our vehicles and tinkering around a bit. The age of the twins this year is nice, because they know what they can and cannot do, and behave very well, so we can leave them outside for small periods of time and watch them from our front window or keep poking our heads out and checking on them, and not freeze ourselves for hours on end that they love to play.